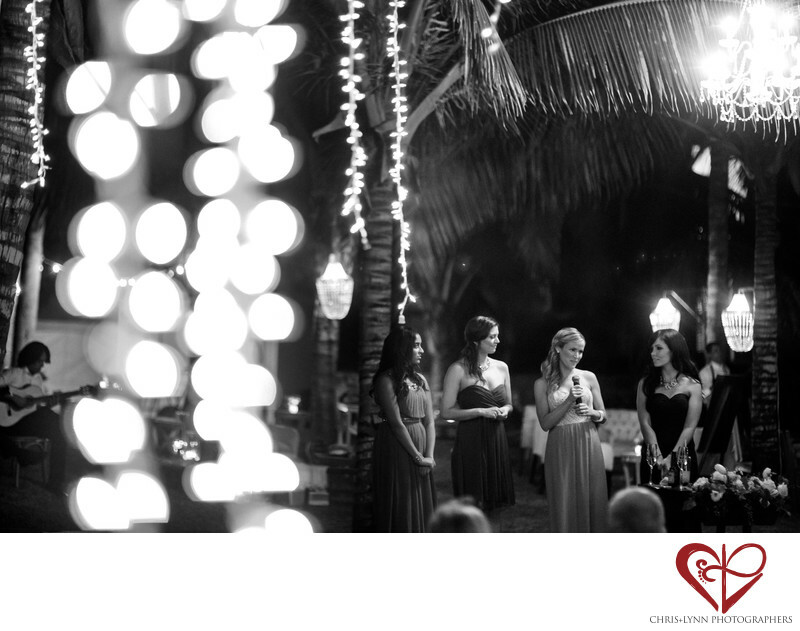 Teitiare Estates, Mexican Riviera | Bride and groom and guests enjoy the wedding entertainment, celebrations and toasts. Sparkle lights and palm trees create a romantic atmosphere at the reception. 1/80; f/1.4; ISO 6400; 85.0 mm.